The clown wizards of basketball made an appearance at Eastern Michigan University's Convocation Center and we had a night of family fun driving over to Ypsilanti to see the Harlem Globetrotters' performance. 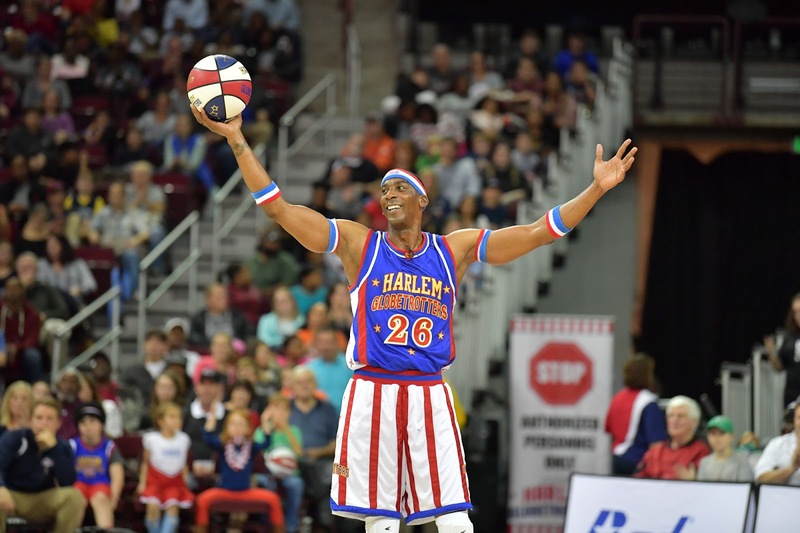 Known for mixing together comedy with basketball tricks and feats of athleticism; the Globetrotters show off skills that make you go wow and perform skits that get audiences roaring with laughs. More a talent exhibition and comedy show than an actual game that doesn't dampen the energy and excitement that fill an arena when the Harlem Globetrotters are on a basketball court. I have fond memories of being 10 years old and my parents taking me to see the Harlem Globetrotters. Being familiar with the team's cartoon series plus their guest appearances on other Hanna-Barbera shows like Scooby-Doo, I remember being so excited to go see the actual team when they came to town. It was amazing to see Fred "Curly" Neal, Hubert "Geese" Ausbie, James "Twiggy" Sanders and Louis "Sweet Lou" Dunbar in real life after following their Saturday morning cartoon adventures. 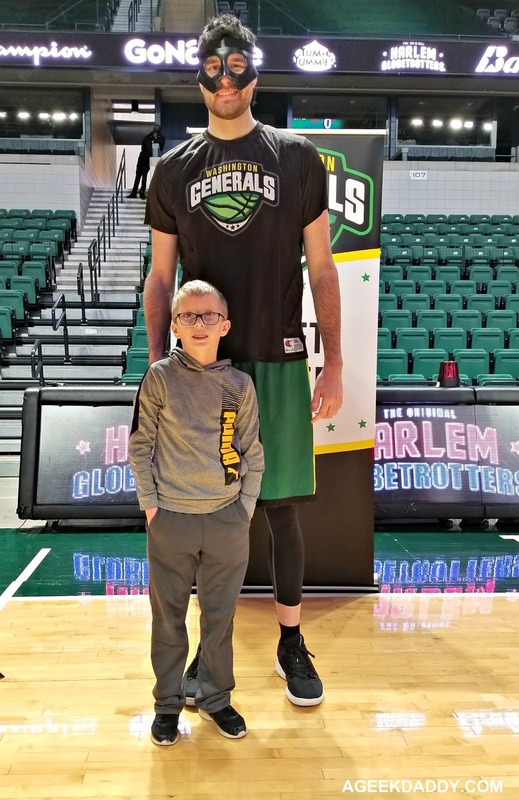 Witnessing their ball handling skills and jovial attitudes during this match up with long-time foe the Washington Generals actually sparked my interest to start learning more about the sport of basketball and begin playing the game myself. So it just seems fitting that now my wife and I were taking my 10 year old twins to see a new generation of Harlem Globetrotters players. The team still includes the athletic showmen that people associate with the Globetrotters like 6'7" HI-LITE who won the 1994 college slam dunk contest and previously played a stint with the NBA's Chicago Bulls. Now though the team also includes a more diverse cast including a 4'5" dynamo guard called HOT SHOT, known as the "Michael Jordan of Dwarf Basketball"; and a number of female players including TORCH, who recently continued a Globetrotters tradition of setting Guinness World Records, and SWISH who as a college player led the University of South Carolina to a Sweet 16 appearance in the Women's NCAA National Championship Tournament. 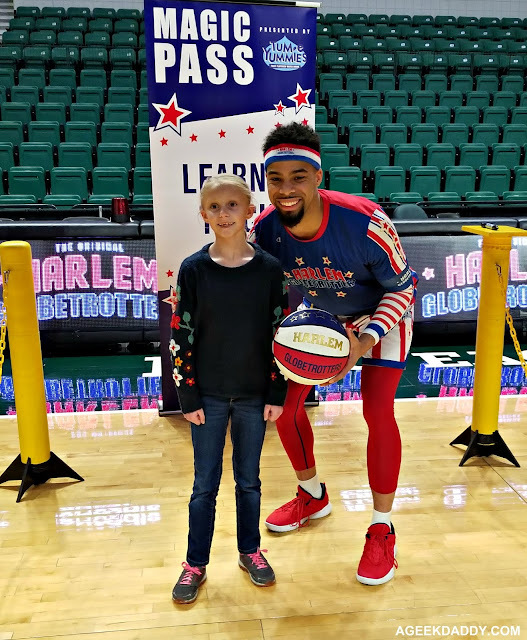 The Harlem Globetrotters demonstrate that all types of people can be talented and passionate about basketball while serving as role models encouraging the kids that come to their exhibitions to have fun playing the sport themselves. Before the game started we participated in a half-hour of on court activities with players from both the Harlem Globetrotters and Washington Generals that is called the MAGIC PASS program. You can upgrade your game tickets to participate in this interactive opportunity presented by Tum-e Yummies. Dress up as a Globetrotter wearing a jersey and sneakers that will look like clown shoes on most people; learn ball handling tricks such as under the leg tumbles and finger tip spins; be coached on shots at the basket; and get up close to players for autographs and selfies. They even have hoops set at different heights so EVERYONE can do a slam dunk on the basketball court. A highlight of the MAGIC PASS experience for my kids was learning some of the team's famous ball handling tricks through one-on-one tutorials with HOT SHOT, SWISH AND WHAM. Of course you have to learn the Harlem Globetrotters' trademark spinning a basketball on your finger tip if you get the chance! The kids also had a good time participating in a pre-game shoot around with players from the Washington Generals. These guys provided a bunch of encouragement for my twins as the children attempted their shots at the basket and showed a lot of enthusiasm when the kids got the ball to fall through the hoop. Based upon that my son and daughter actually cheered for both the Generals and Globetrotters during the exhibition game. My son was particularly in awe when that team's ultimate weapon, a seven foot tall masked player named CAGER, deflated a basketball by crushing it with his hand in an effort to intimidate the Globetrotters at the beginning of the game. Of course the Globetrotters weren't going to be intimidated by CAGER! They launched into their iconic magic circle warm up demonstrating the team's impressive basketball juggling, passing and other ball handling skills as the Globetrotters' theme song "Sweet Georgia Brown" blared from the stadium's speakers. They than proceeded to dominate the Generals with spectacular slam dunks and stunning long distance 4-point baskets made from further out on the court than the NBA's 3-point shot line. While the Globetrotters basketball skills are impressive it is their comedic high jinks that stand out. The show is just as much a comedy show as an athletic event. Our whole family enjoyed an evening of side splitting good laughs. Because going a Harlem Globetrotters game is meant to be a family outing all the jokes and skits are also age appropriate for young children to see. That being said their comedy is also meant to be enjoyed by all ages which was demonstrated by the fact that my wife was laughing louder than anyone else in our family at the Globetrotters' humorous antics. She particularly liked when HI-LITE pulled an out of shape guy (like most parents attending these games with their kids probably are) out of the audience and had him do a modern dance routine with him. Be prepared that sitting within a few rows of the basketball court may just mean that you become a part of the show. 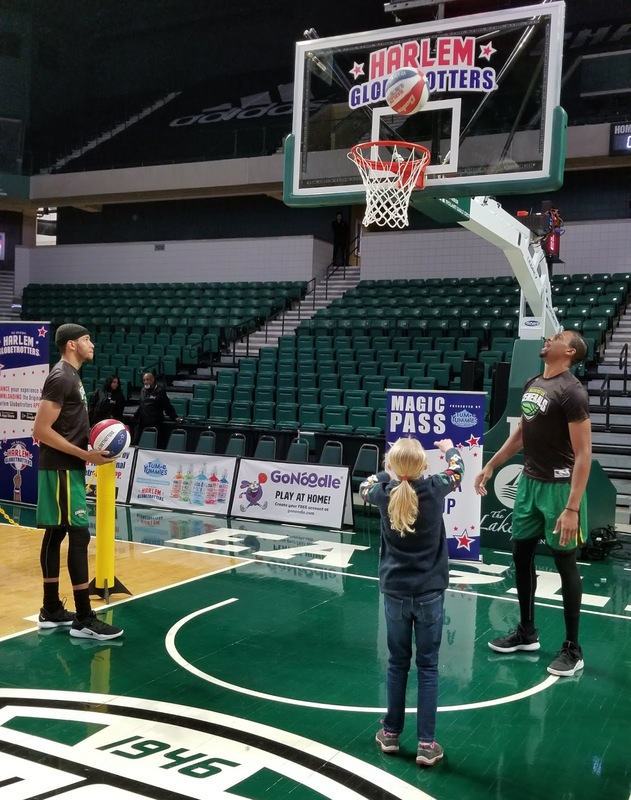 In fact, incorporating the audience into the Globetrotters comedic skits and skill demonstrations adds a feeling of spontaneity and intrigue to what are normal routines for the team. 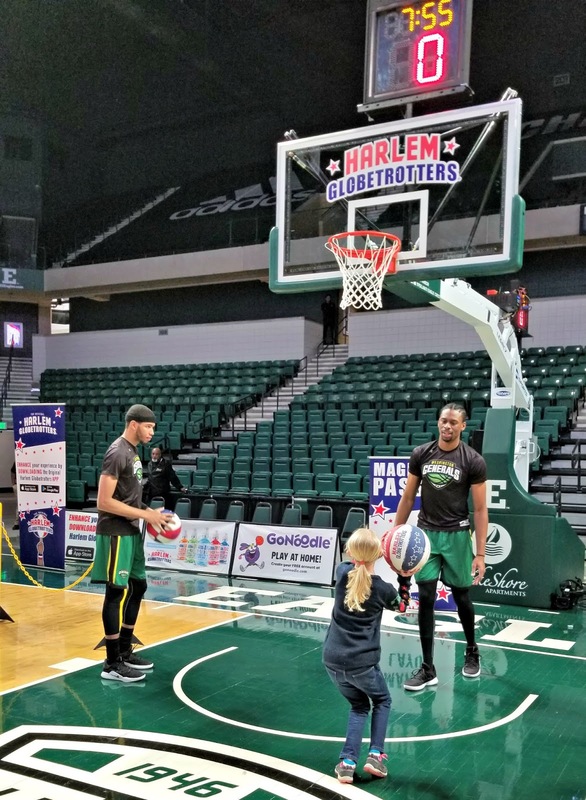 The Harlem Globetrotters now have three squads of players that tour not just across the United States but around the world. This has the team constantly on the go so there is a good chance they will be performing in a city near you sometime this year. 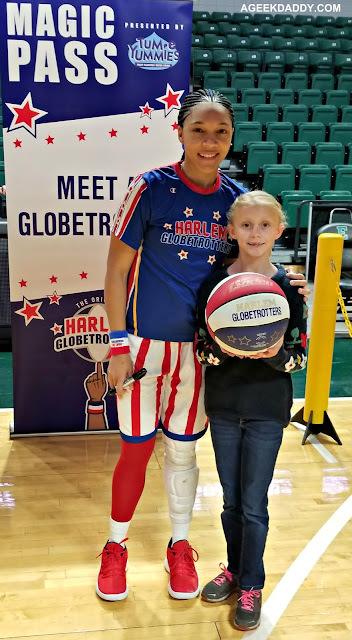 Go to harlemglobetrotters.com to find an event near you. We had a wonderful time ourselves at the exhibition game and now my kids are as big of Harlem Globetrotters fans as I am. They had me download the Globetrotter's official app as soon as we got home for them so they could play its augmented reality basketball shooting challenge video game and goof around with a photo filter feature that makes it look like you are doing ball tricks. The app is available on both Apple's App Store and Google Play. The Globetrotters have delighted generations of fans and it doesn't appear as if the team will be retiring anytime soon as they keep making appealing updates to change with the times. If you live in southeastern Michigan and missed their appearance in Ypsilanti, the Harlem Globetrotters will be returning in March for a downtown Detroit appearance. See them on March 2, 2019 for a 2:00pm afternoon event at Little Caesars Arena. They will also be making other Michigan appearances in Saginaw on February 28 and East Lansing on March 1. That show looks like itis more than just a basketball game. It is great that your kids were able to take part and interact with the players. My son loves basketball so he would love to see these wizards of the game. These guys and girls continue to give us laughs. I can't beleive I've never been to see them. Too fun! I"m not even a basketball fan, but I always love the performance from the Globetrotters! My kids still have a jersey from a game we went to years ago. They never got out on the floor though - too cool! So SO cool! This so took me back in time! Would be super fun to see them. Sounds like a fun family night out. I saw them with some friends when they were at the Palace a while back, it was interesting and amusing. I love the Globetrotters too! I remember going as a youngster and have taken my kids back as well. Thanks for bringing those memories back! Aren't they fun?? I have seen them several times and they always amaze me with their skills and their caring attitudes about others. 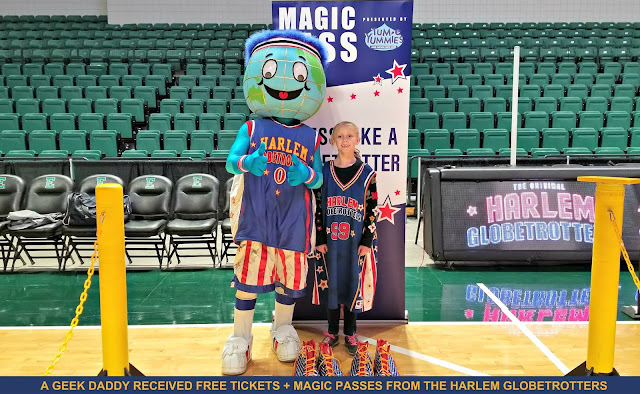 The Harlem Globetrotters already put on such a cool performance, but that Magic Pass program really seems to take the experience to the next level. My kids would have a lot of fun for sure! I have always wanted to go to one of their games. 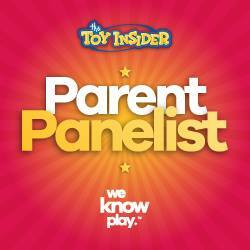 They look like so much fun I think it would be a great way to have family time out with some great entertainment. I love the Harlem Globetrotters! I remember watching them on ABC's Wide World of Sports back when I was a kid. I am super happy they're still around, with a couple of notable members Curly and Geese. I bet this was a fantastic treat for you and your kids! ahh i love this- i remember going to see them in high school and having such a great time ha i def love that they are still around and doing such a wonderful job! glad you had a great time! I am a huge basketball fan, maybe because I actually understand it?? LOL!! I would love to see the Harlem Globe Trotters one day!! 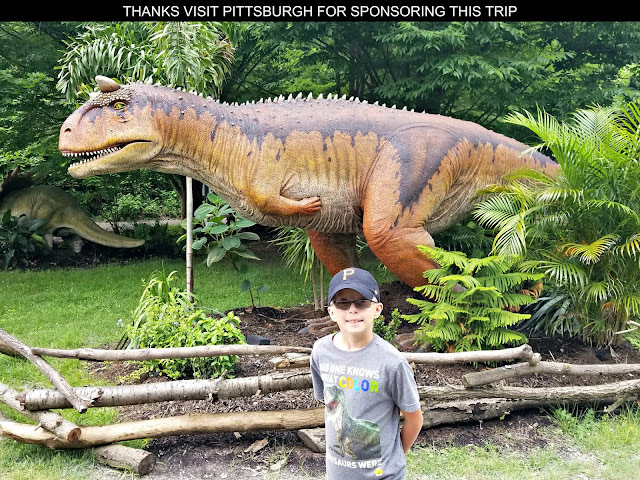 What a great experience for your kiddos. My son would have an exciting time there if he's given a chance. My husband is a huge basketball fan...college basketball to be precise. I think he's going to enjoy watching this. What a fun way to spend the day! I saw the Harlem Globetrotters when I was young and it was such a great time. My son has never been to a basketball game but he would love this pregame fun I"m sure! I love seeing them play! I took my kid one time anD we had a ball! Looks having a great time together as family enjoying the game and have some fun down right there.